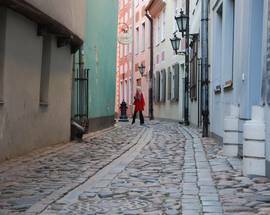 One could easily stroll about Old Riga’s meandering streets and ancient alleyways for days, but for most travellers time is at a premium and a long journey is a luxury few can afford. With this in mind, we’ve prepared a condensed walking tour which includes many of Old Riga’s best sights. Begin at the Freedom Monument on the edge of Old Riga and the famous Laima Clock. Walk up to the top of Bastion Hill for views and then walk across ZA Meierovica (Basteja) until you reach the red brick Powder Tower and the Museum of War next door. Next walk down Torņa. The James’ Barracks on the right side of the street are home to many trendy shops and cafés and remnants of the Old City Walls are visible on the left side. 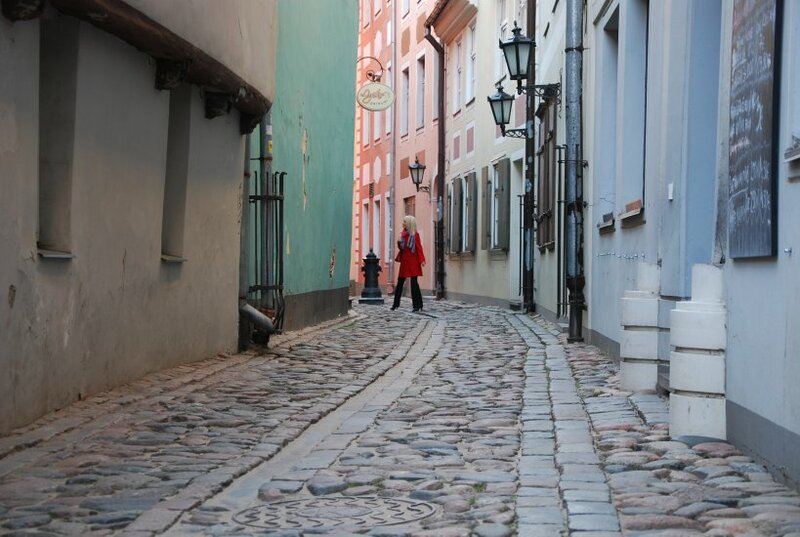 Walk left through the Swedish Gate and immediately make a right on Trokšņu, one of Riga’s narrowest streets. Go left then straight between St. James Church and the Saeima (parliament). Make a left on Klostera to find the Three Brothers ahead. Take a peak inside to see how medieval Europeans once lived. 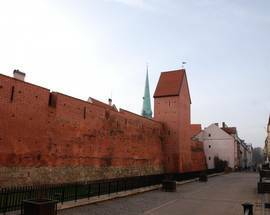 Go right on Mazā Pils to Pils laukums where you’ll find Riga Castle, which also houses the offices of the Latvian president. 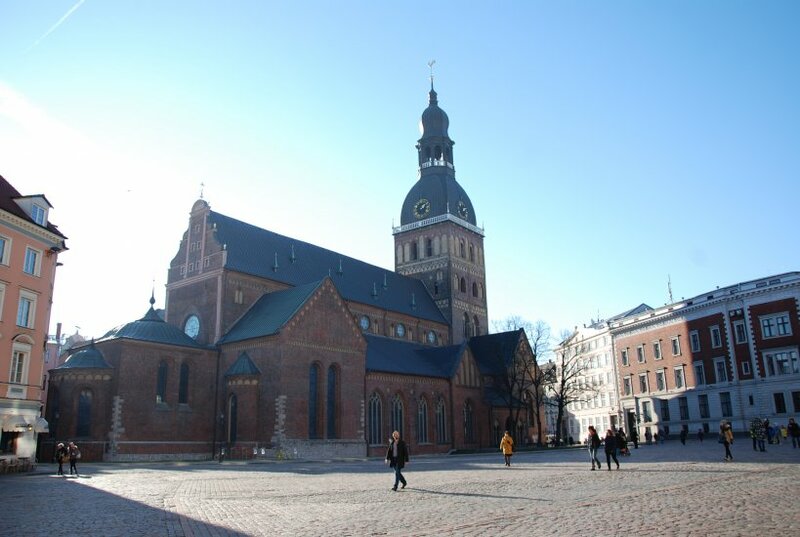 Next walk up Pils to Cathedral Square (Doma laukums) and take a tour of Riga Cathedral, the largest house of worship in the Baltics, its Romanesque cloister and the Riga Bourse Art Museum. 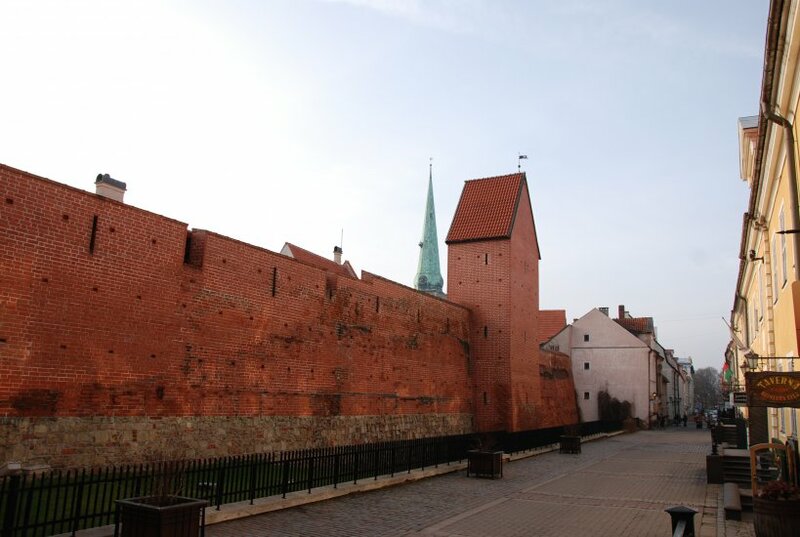 Walk down Tirgoņu and proceed to Kaļķu. 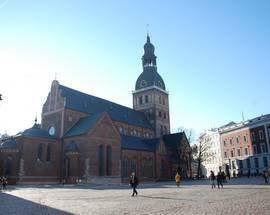 Make another right there and walk to the House of Blackheads, the new town hall and the Latvian Riflemen Monument. Next walk down Grēcinieku in the opposite direction of the River Daugava to the Mentzendorff House. After a short tour of the house continue down Grēcinieku and make a left on Skārņu. You can take a look at St. John’s Church on the right or walk to the entrance of St. Peter’s on the left and take the lift up to the top of for excellent views. On Skārņu you’ll find dozens of souvenir vendors. Walk into John’s Courtyard (Jāņa sēta) and emerge on Kalēju. Go left until you reach Livs’ Square (Līvu laukums) which is home to the Great and Small Guildhalls, the Russian Drama Theatre and the Cat House. This concludes your condensed walking tour of Old Riga. 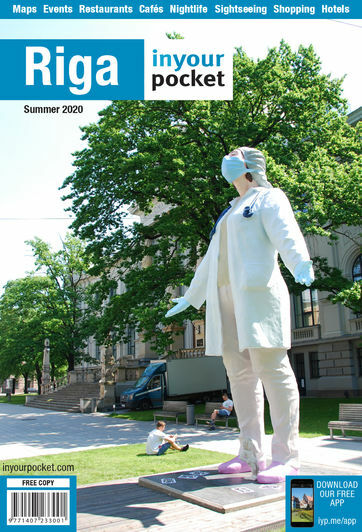 You can relax with drink at one of the cafés here and take in the atmosphere of Riga’s most popular square. It’s also a good place to buy local souvenirs like amber jewellery, hand-made crafts and paintings.